I was fortunate to have the opportunity to photograph the grotto at Westcave preserve in the late fall. 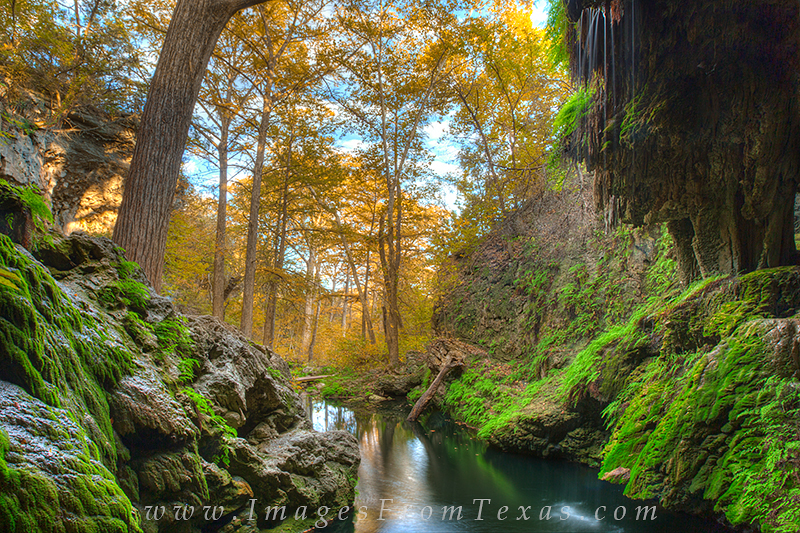 The Autumn colors of the cypress were abundant, and blended well with the lush green of this little Texas Hill Country sanctuary. I never tire of my visits to this area, and I appreciate the folks that allow me to visit this location. Photo © copyright by Rob Greebon.